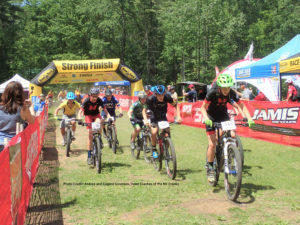 The New York Interscholastic Cycling League was organized in 2013 to provide competitive mountain biking programs for students in grades 9 to 12. With the cooperation of local race organizers, our partners, and our sponsors we are able to provide a high quality mountain racing experience. We believe that mountain biking is the ‘T-Ball’ of cycling. Regardless of ability level, the New York League is committed to providing a positive experience for all student-athletes. Matt Fritzinger, a teacher at Berkeley High, founded the League with the 2001 NorCal High School Mountain Bike Racing Series. As the coach of the Berkeley High team he saw that a school team could succeed, but that competition would be required for it to thrive. 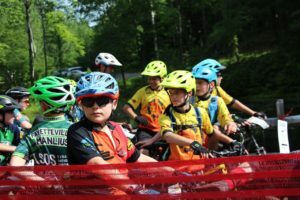 In the first series mountain bikers from schools all over Northern California answered the call and came to compete as semi-organized high school teams. Now well over 50 California schools offer well organized mountain bike programs and is spreading to states all over. The League is committed to teaching safe riding practices. We believe forming high school teams is the best way for students to learn how to ride safely. To learn safe riding technique or learn how to teach these skills, join our next rider camp or coaches conference. For up to date news and info join our e-mail list, or send an e-mail directly to jason@newyorkmtb.org and let us know how you’d like to get involved.